Created for Ludum Dare 31 - "Entire Game on One Screen"
And, indeed, answering that question with another question is just another way of saying you're determined to bend the rules as much as possible. 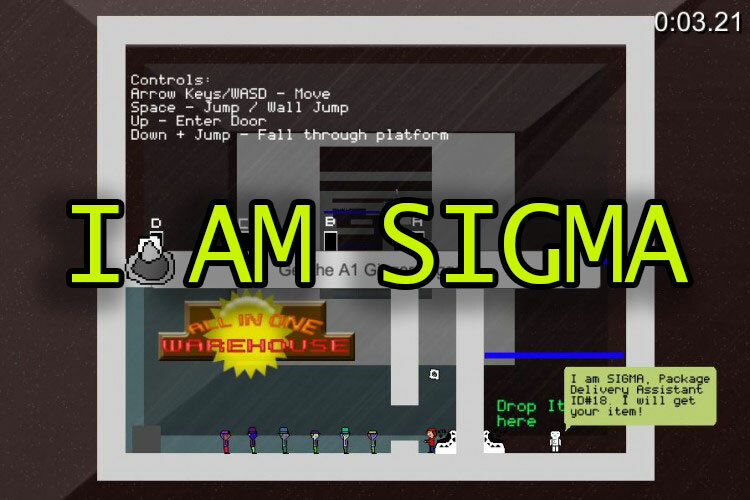 I am Sigma is a deep game. About a robot. Who works in a warehouse, in space. Getting the items required by the people queuing up. The warehouse is also quite deep. As a matter of fact you can see the *entire* warehouse from the entrance. Strangely, it's also full of lasers and traps that Sigma will have to navigate in order to retrieve the latest thingamabobbies and whosamawotsits that are so in demand.